The Maco Light is a true North Carolina legend. The tale has been passed from generation to generation for over one hundred years. The apparition has been witnessed by scores of locals and once by President Grover Cleveland! 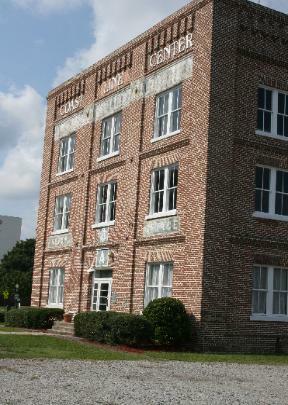 Port City Paranormal was invited by the current resident to investigate the site in 2009. Our research uncovered the details of the actual event in the archives of New Hanover Public Library. In an article written by Professor James C. Burke University of N.C Wilmington, we found that it is not “Joe Baldwin” who haunts the tracks at Maco, but most likely Mr. Charles Baldwin, a conductor for the Wilmington-Manchester Railroad line. It is said that if you go to the old tracks near Maco and look west, you can see him swing his warning lantern above the left rail. Learning that Baldwin had neglected his duty and was responsible for the accident, we wonder if Charles now swings his lantern to warn others of danger, or does he still see the phantom engine that caused his fate streaking towards him through the darkness? Norman,M & Scott(1995)Historic Haunted America. Port City Paranormal would like to thank The New Hanover Public Libary, Ms. B. Tetterton and Mr Mark Konig of the Wilmington Railroad Museum for their help with our research. 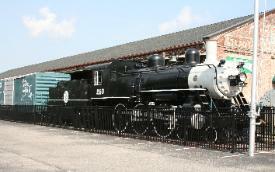 Visit Wilmington’s Rail Road Museum Downtown Wilmington, NC.